Located in Wuerzburg (Würzburg City Centre), Hotel Franziskaner is within a 10-minute walk of Wuerzburg Cathedral and Wuerzburg Residence. Featured amenities include complimentary wired Internet access, express check-in, and express check-out. Planning an event in Wuerzburg? This hotel has facilities measuring 484 square feet (45 square meters), including a meeting room. 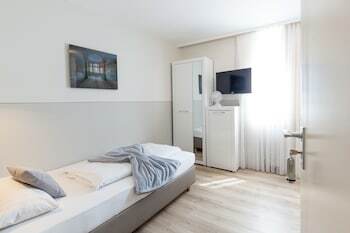 Private Domiciles Hannover offers accommodations throughout the area in Hannover.